Our team would like to thank you for choosing Komeer as your communications service. 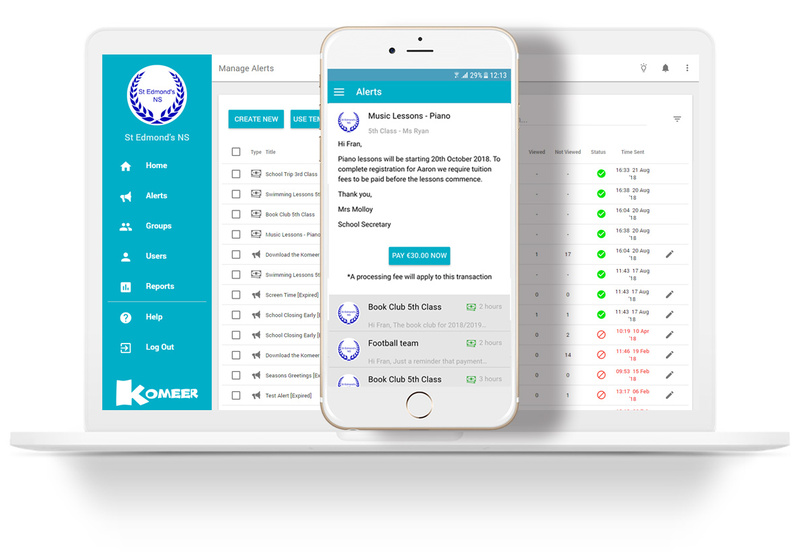 We have a number of ways you can let parents know that your school are now using Komeer. We have Parent Cards that you can download and print, these can be handed out to all parents which will tell them all they need to know about the Komeer App and advise them how to download and setup their new account. This short Video will guide the users through the setup process. We also have an Information Pack that you can download which will help guide you through the process of getting parents on-board. 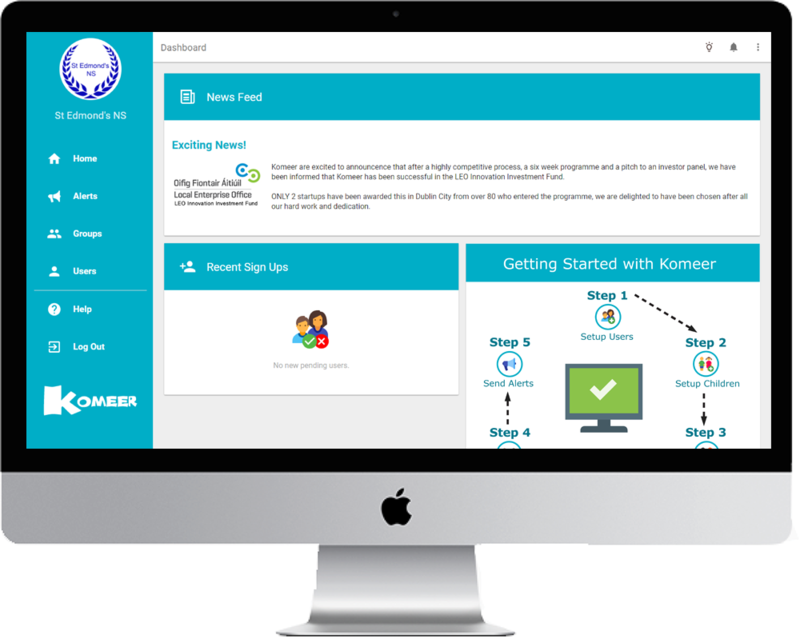 Now we have made it even easier to stay connected with all parents/guardians via the Komeer Website Widget that you can copy onto your website. 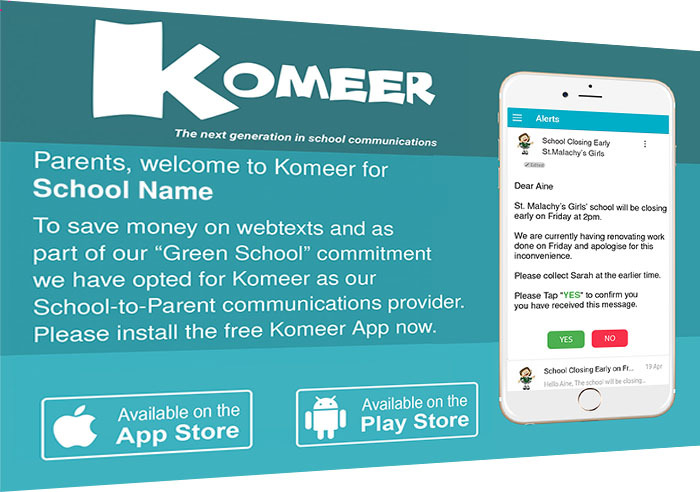 You can also purchase a Banner for your school railing so parents will be regularly reminded that you are using the Komeer app to communicate with them. We have created some Video Tutorials which will help you get started with your new Komeer account and start saving money. All you need to know about getting started with the new Komeer Payments Service. Your first step is to import your users. Click here and select “Import” to import your users. Now you can import your children. Click here and select “Import” to import your children. Assign your children to their parents. This can be done via the Children’s Table here. You can create a new group for your recently imported children. Click here to create your First Group. 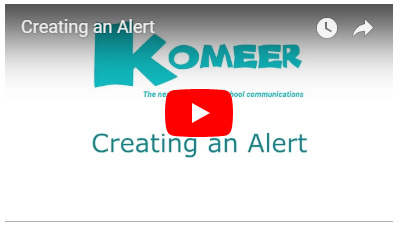 Click here to send your first alert asking parents to download the Komeer App. We have created some Video Tutorials to help you manage your Komeer dashboard and guide you through setting up your account. 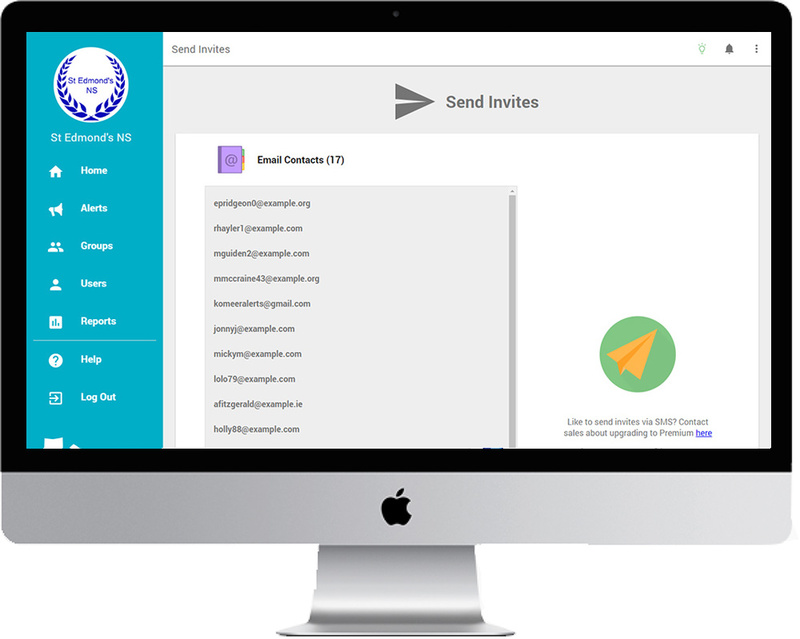 Komeer’s new Quick 2 Step Plan to ‘Upload Contact Emails’ and ‘Send Invites’ will help get your users onboard quickly so you can start engaging with parents and make valuable savings. Informing Parents about the new Komeer App. Once downloaded, Parent Card handouts are great for including in letters home or giving out at school events. 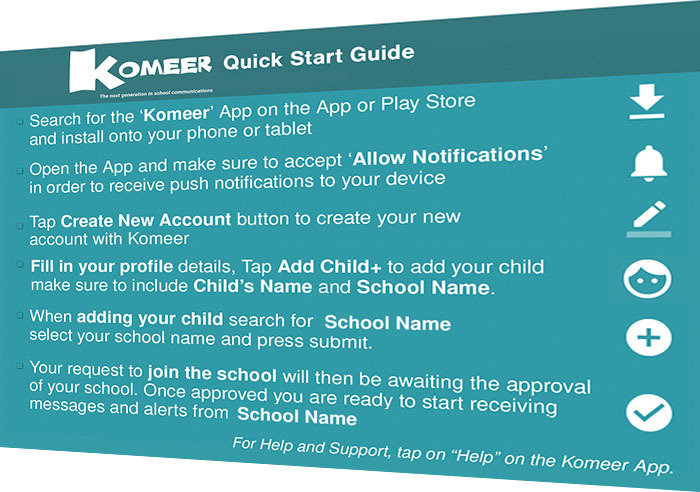 Each parent will receive a Parent Card with step by step instructions on how to download Komeer App. 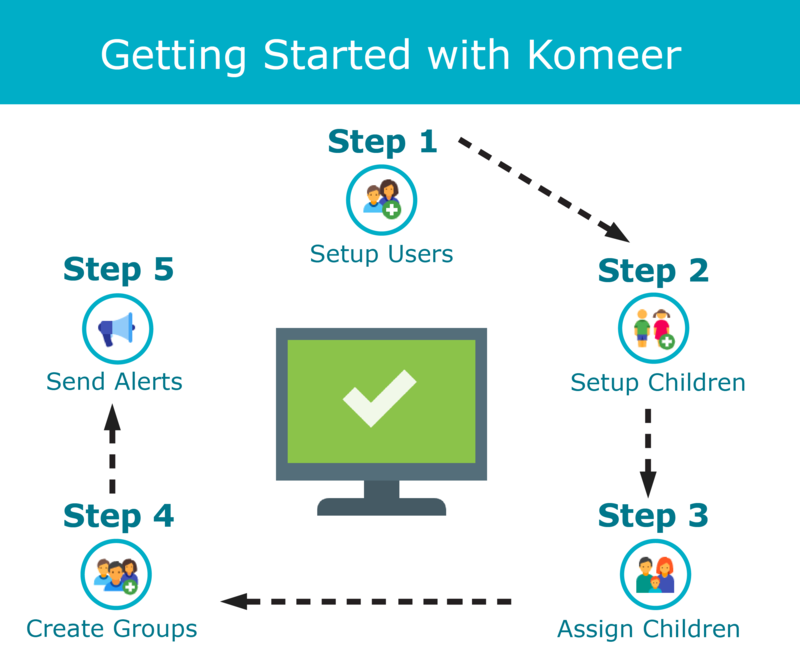 The Information Pack includes information to help schools explain what Komeer is and help encourage parents to use it. Click the link below to view your pack. so you can get parents on-board even faster. How to Install and Setup the Komeer App? We have designed the Komeer website widget so you can copy and paste the code onto your website. This will enable parents/guardians that are unable to download the Komeer app to create/login to their account via the Komeer web app. The web app can be accessed on their laptop/p.c and on any browser once they have an internet connection, so now you can stay connected with all parents/guardians. Now that Komeer Payments Service has arrived, with your communications, events and payments all in one place, the setup process has never been easier. The setup process has been designed with our customers in mind so that your precious administration time is not wasted. Just follow our simple setup guide and you will be setup within minutes so you can start sending out payment alerts and start collecting money immediately.